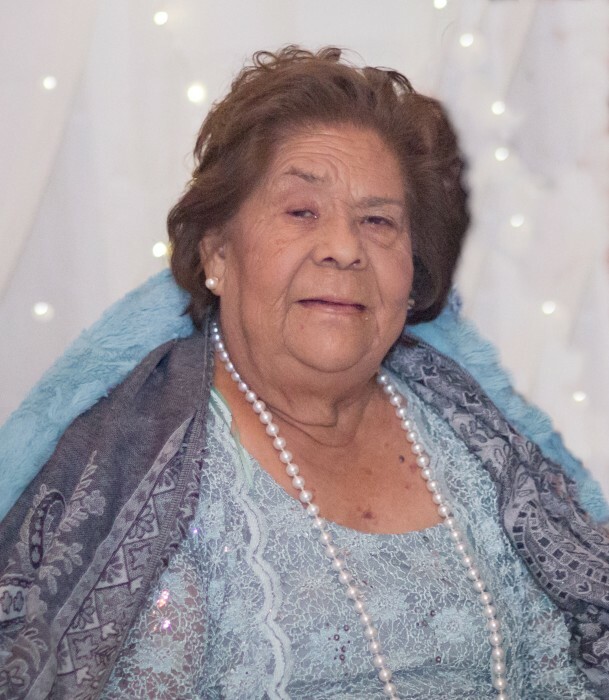 Raquel “Grandma Rachel’ Salinas 88 passed away on April 9, 2019 at home surrounded by family. Raquel was born on May 11, 1930 to Dario & Manuelita Campos. She was a member of La Gloria de Dios y Jesus es la Puerta Church. Raquel was an entrepreneur and had a green thumb. She enjoyed participating in Market Days, reading her Bible and singing to the Lord. Left to cherish Grandma Rachel’s memory will be Rosendo Salinas, Laura Lopez, Alejandro Salinas, Juan Salinas, Mario Salinas, Beatriz Salinas, Daniel Salinas, and Teresa Salinas; 43 grandchildren, 77 great grandchildren and 9 great great grandchildren. Visitation will be Saturday, April 27, 2018 from 5:00 p.m. to 9:00 p.m... Memorial service will be at 7:00 p.m. Saturday, April 27, 2019 at San Benito Funeral Home. There's still time to send flowers to the Visitation at the San Benito Funeral Home from 5:00 PM to 9:00 PM on April 27, 2019.